The official video for "Square Hammer", a brand new song from Swedish occult rockers GHOST, can be seen below. The track appears on the band's new EP, "Popestar", which is being released today (Friday, September 16). The effort, which consists primarily of covers, was helmed by English producer Tom Dalgety, who has previously worked with ROYAL BLOOD and KILLING JOKE, among others. GHOST will perform "Square Hammer" on its upcoming North American tour. One of the Nameless Ghouls told SiriusXM: "We're very proud of it. We're obviously thrilled to be able to play something new. This is a short, to-the-point little gem right at the jugular." The EP cover artwork can be seen below. 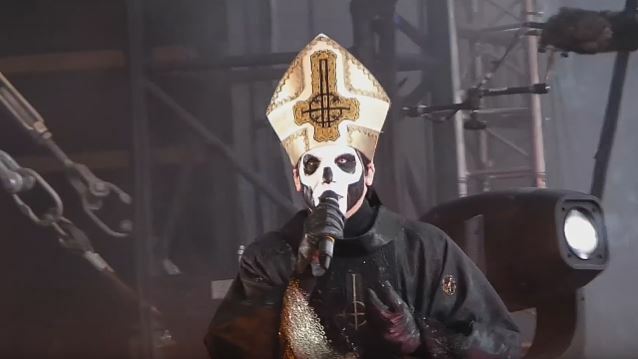 A Nameless Ghoul told myROCK about GHOST's new EP: "The EP will sort of connect with 'Meliora', so it's not [going to feature] a new Papa [Editor's note: In a parody of the Catholic Church's tradition of papal succession, GHOST singer Papa Emeritus is purportedly replaced by a new Papa for each GHOST album. ], it's not a new album; it's gonna be like an extension of 'Meliora'. That is gonna prolong the tour. So we're gonna do an American tour in the fall, and then we're gonna come back to Europe in the beginning of next year and do a bigger, sort of final 'Meliora' show. And in between now and then, we will work on the new album, and after the European tour in the beginning of , we're gonna go into the studio and record a new album." GHOST won the Grammy for "Best Metal Performance" during the pre-telecast ceremony at the 58th annual Grammy Awards. 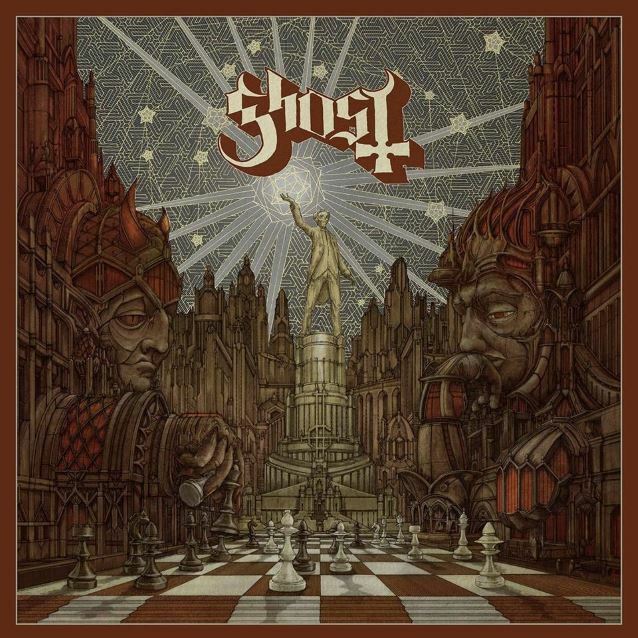 GHOST was nominated for the song "Cirice" from "Meliora".